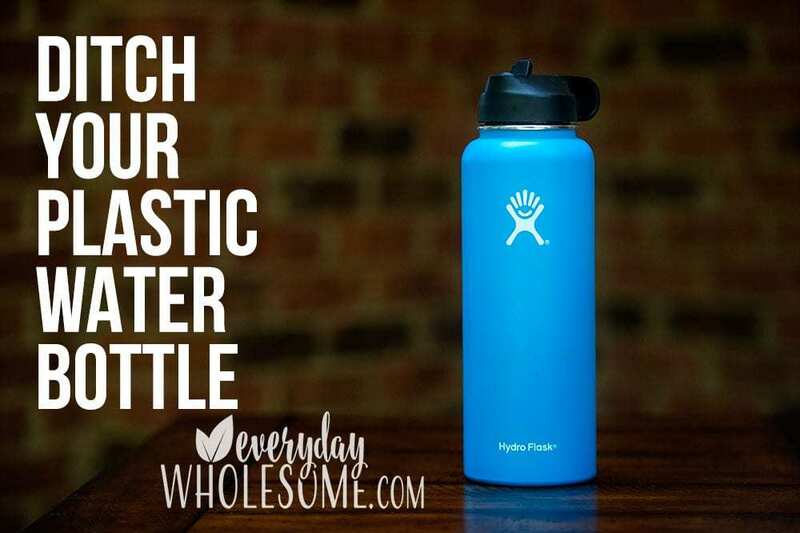 In this post I will help you eliminate some of the plastic items you thought you could never see yourself part with in this life without plastic post. We know not to heat plastic. We know there are dangers of plastic. I just feel better about not using plastic in my plastic free kitchen at all if I can. There’s something about those Ikea plastic plates with all the old cut marks and heating them to wash them that just makes me worry. 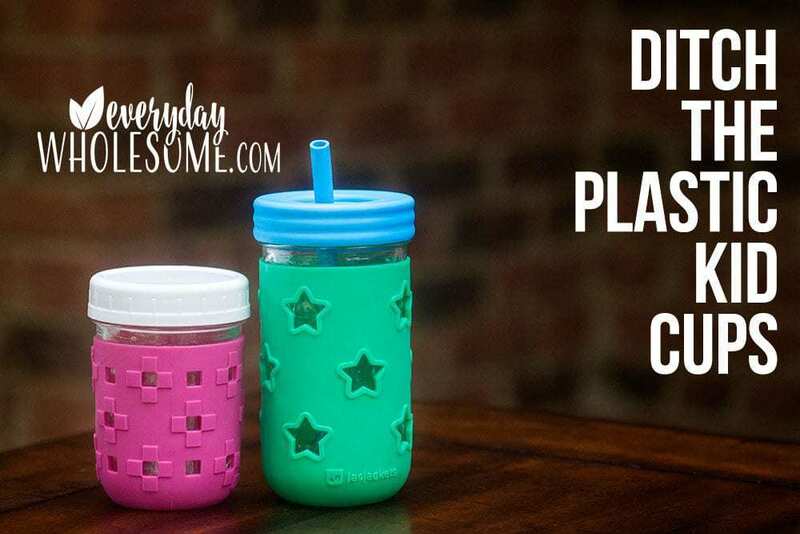 This post has alternatives for all of those plastic items that you have around for kids. We just moved across the country…again. And that move has made me a little nutty about getting rid of things. 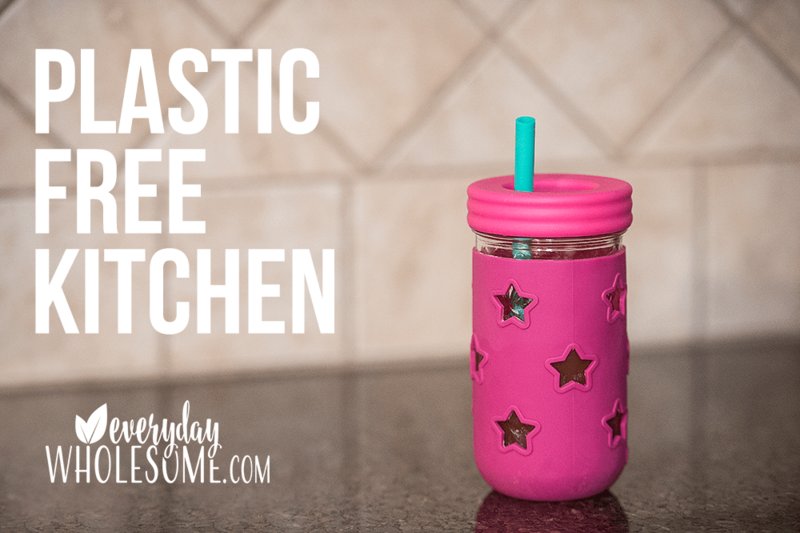 I finally took the plunge and got rid of all the plastic cups and plates in my kitchen…which has me another step closer to an entirely plastic-free kitchen. I found some replacements that actually work for our family so I thought I’d share them with you. So just like my Paper Free Kitchen post where I shared that I still have some paper in my kitchen. I also don’t actually have an entirely plastic-free kitchen. There are still plastic lids for my Pyrex, CorningWare and my stainless steel bottles. And I’m still looking for a good silicone solution for the toddler/preschooler who will bite down on metal silverware so I’d prefer them to eat with something softer. I think other than that we are plastic free in the kitchen. You will hear me talk a lot around here about systems and routines. I will share them all with you over time. It might sound silly but having a routine for everything makes life easier. Habits save your brain for other decisions. Decisions are the most exhausting thing we do all day. 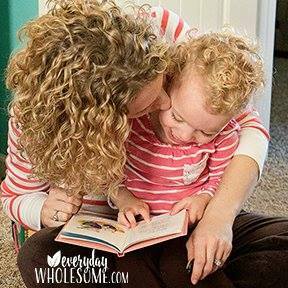 So the more habits I can have in place in my home, the easier my life is, the less I get worn out, and the happier mama I am around here. Lately, by 9am, I am mentally exhausted from answering my almost-3-year-old when she asks “why?” 300 times. So, I try to have a general routine for everything I can throughout our days. This saves room in my brain for other things like this blog and room to answer more “why” questions. WHAT’S YOUR DAILY DRINK ROUTINE/SYSTEM? Every day we each get a clean stainless steel water bottle. I wash the ones from the prior day in the dishwasher to keep down on germs. This really smart lady tested our dishwashers and found that the dishwasher does a great job killing germs if you use the sanitize cycle and heated dry. That water bottle goes with us all day. 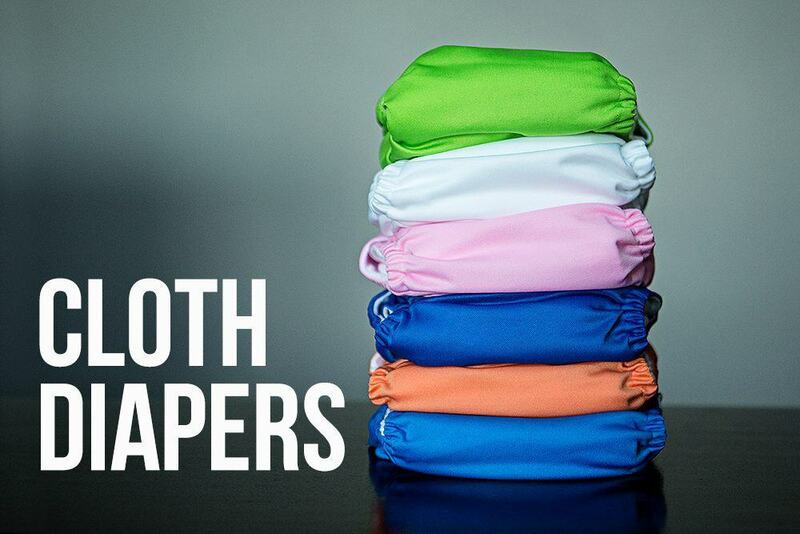 (Toddlers who lose theirs throughout the day often get more. Sigh. Where do they go?) I make it fresh in the morning and freshen before we leave to get in the car. That way, we have our cold, fresh water with us all day. If we are drinking water it’s in our own stainless steel water bottle. We have a spot next to the Berkey where we keep our water bottles when we are at home and around the kitchen. Your bottle is your bottle. My bottle is my bottle. We don’t trade bottles. It confuses me. Anything extra I have to think about is a brain drain and I don’t have any extra energy for brain drains during this season of life. They can drink from each others’ bottles and from mine if everyone is well. HOW MANY WATER BOTTLES DO YOU HAVE FOR EACH PERSON? I prefer 4 bottles for each child in rotation. One in the bedroom beside bed. One in the dishwasher. One being used and that allows for one to be lost! Ha! I have 2 bottles for myself. One in the dishwasher and one clean. 40 oz Hydroflask with straw lid. I have 2. 1 to be washed and 1 to be used. I have purchased a replacement straw lid here. I added this silicone straw so that I could add my Lemon Essential Oil to the bottle. I add 1-2 drops per 40 oz water bottle. 20 oz Contigo Straw Lid. I find these to be an excellent price for this large of a water bottle. And they don’t leak. And they don’t break. These are great. 12 or 16 ounce Thermos Funtainer with straw lid. In the above photo the purple is the 16 ounce. The pink lid container is a 12 ounce. I think my kids outgrow the 12 ounce bottles around 2- 3 years old and really need larger ones. But they aren’t quite strong enough to carry them around. Make sure you get the straw variety if you like straws. There is a Funspout version. I believe we all drink more water from a straw so we all use straw bottles. I bought the foogo because I found them on sale somewhere for about $7 a bottle, but they don’t have a handle like the thermos ones above….OH MY GOODNESS. NO HANDLE??!! This was the topic of discussion with my toddler for months. “Why doesn’t it have a handle?” “Is this the one without the handle?” Love that girl. Buyer beware. Either buy them all with handles or all without if you have a particular child. REPLACEMENT STRAWS for both the Thermos and the Foogo if you have any chewer/biter children in your family. 7 oz. Thermos sippy cup. I have not yet found a stainless steel baby straw cup I like. 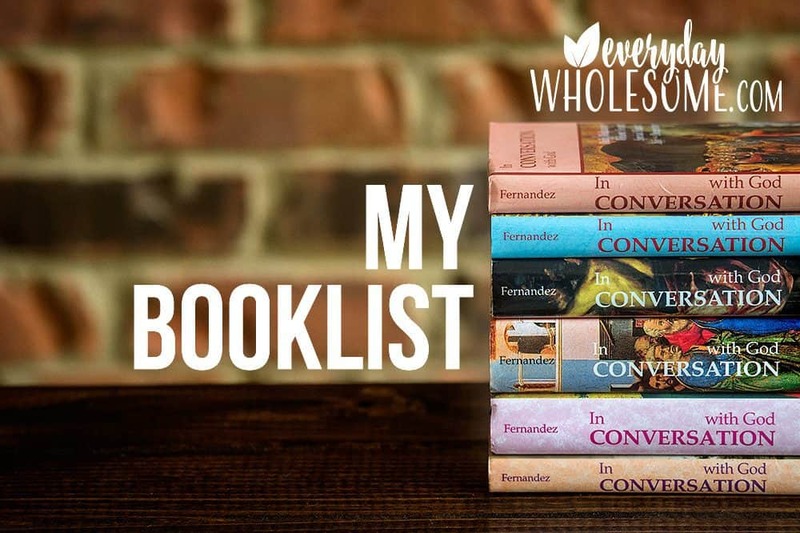 If you have a recommendation please comment or contact me! I would love to know which one you found! Whoa. I was just looking for a link to that cup and I found that Walmart has a link to “Sippy Cups: Alternatives to Plastic” Way to go Walmart! AROUND THE HOUSE WATER CUPS FOR GUESTS & ADULTS. HUGE GROWLER BOTTLE FOR REFILLS ON HOT DAYS. 64 oz Double Wall Insulated Large Growler Bottle. I also have one of these that I take to the zoo, the park on extremely hot days, etc. I only take it on really hot days when I know we’ll be gone a while. I fill it almost completely with ice, then water and it stays cool until the end of the day. I refill our other water bottles with it. It’s so great for trips to the zoo! HOW TO CHOOSE A GOOD STAINLESS STEEL WATER BOTTLE? I swapped out our plastic water bottles a while ago. I didn’t like them in the hot dishwasher or the hot cars. I just didn’t feel right about them and I wanted to worry about one less thing in my day. I slowly bought the new ones over time. I tried glass but after breaking one when it dropped and hit JUST right I switched to all stainless bottles and we love them. I also love that double wall insulted stainless steel keeps our water cold ALL day. We all love that. We have built our collection over time because they are not cheap. And, they get left places like in the van, in dad’s car, in bedrooms, etc I am often missing some. Double wall insulated because we REALLY like our water cold. and all day long too. Straw lids are a must have. I believe we drink more water out of straw cups. I might be wrong but I believe we do so I prefer straw cups. Price is a huge factor because I like each kid to have at least 4. Again they always disappear because we drink a lot of water. Size for each child is a factor. Larger for the larger kids. Hugest, biggest, gigantic one I can find for me. Leak proof is a must. Sometimes I’ll throw these in a bag and if that happens I really want them to not spill. Matching or some easy way to tell them apart for each person. HOW DO YOU FIT A HYDROFLASK IN THE CAR CUP HOLDER? I’m so glad you asked. I got a new minivan last year and they DOWNGRADED the cup holders. I was livid. I got in my new van, sat down, went to put my hydroflask in my cup holder and IT DID NOT FIT! So I bought this adapter and it works just fine. They have others that might even be better. There are options. WHAT ABOUT OTHER DRINK CUPS? I used to have at least 8 of the plastic cups First Years cups from Walmart with the straws. You know the ones. They have lids and straws and every time you put the lid on and forget and leave the straw in they explode like a water hose and whatever liquid you had in the cup is all over your kitchen or your shirt….or your friend or grandma’s shirt. I had these for the occasional smoothie or juice or for guests but I hated having them. I replaced them often because I knew they weren’t great to have around or to wash in the dishwasher. I FINALLY FOUND A PERMANENT REPLACEMENT AND IT MAKES ME SO HAPPY!!!! Mason jars are my jam. (See what I did there?) I love them. 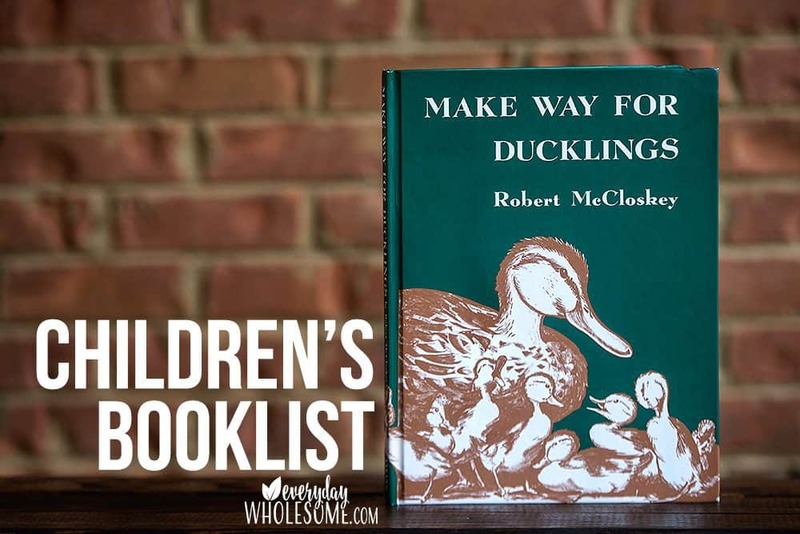 Here’s how I use them with kids. Plastic lids don’t seem to bother me too much being plastic. They are on my Pyrex Containers and I use them for Mason Jar lids because I don’t like the metal ones that rust. They don’t tend to come in contact with our food or water. They don’t get heated up with the food, just in the dishwasher. And I don’t know of an alternative yet either. 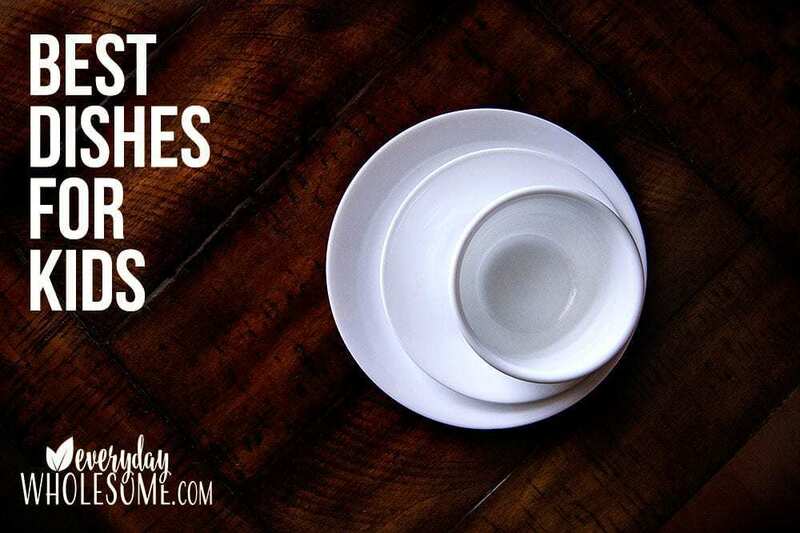 I say they are for me and for the kids because if I am thinking clearly I will give my guests the “nice plates.” If I’m in a fog, which I often am, I will forget and they’ll get the kid plates too. The last thing I switched out recently was kids plates and bowls. It took me a while with this one. I still had the plastic Ikea plates and bowls around but they were mainly for guests because I felt like everyone had them and I needed to have them also. THE REASONS TO CHOSE CORELLE FOR MY KID DISHES. Corelle is glass so it’s safe. Corelle is strong. It’s pretty heavy duty. (not heavy, but heavy duty) It can break if dropped on tile but not too often. And it is pretty strong. Corelle isn’t too expensive. If it breaks it’s not the end of the world. I probably spend less on replacing a broken dish as I did on replacing the cheap plastic plates that I worried were leaking chemicals so I would get new ones. Corelle is light weight so I can pick up a whole stack of dishes in one hand and put them away in literally a second. The heavier plates would take 10x as long as I would need to pick up 1 or 2 at a time. Corelle takes up half the space than my fancy plates. I can stack all of the plates and bowls for the day on the same shelf of the cupboard with room to spare. They also fit in the sink and dishwasher easier and the kids have an easier time picking them up and helping with setting the table and the dishwasher loading/unloading. 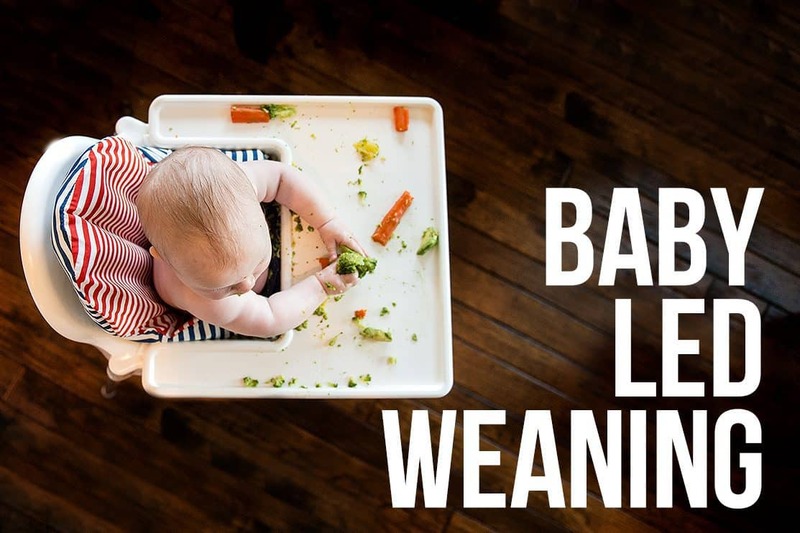 WHAT ABOUT DISHES FOR INFANTS AND EARLY TODDLERS? What about infants who are too young for Corelle? Instead of plastic, choose a silicone placemat that includes a plate like this one. Once I try a few and find a favorite, I’ll let you know! WHAT I’M STILL SEARCHING FOR IN MY PLASTIC-FREE-ISH KITCHEN.. I am still searching for a soft silverware option for the early eaters who I tend to chew on metal silverware more than I like. If you have an option for me, will you please pass that along? Comment below or send me a message. I just started adding Lemon Vitality to my water recently and I can’t believe what I’ve been missing!!! It tastes divine! 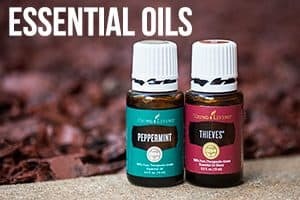 Make sure the essential oils you use are ingestible. The Young Living Vitality line is ingestible. 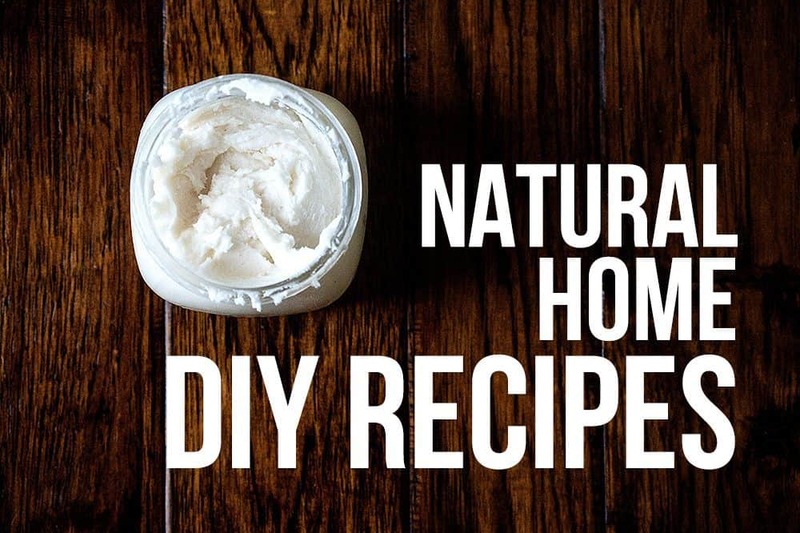 Click below to read about Seed to Seal and why you want your essential oils to be the cleanest possible. You don’t want any fillers or junk added in there. And you don’t want any pesticides or other yucky stuff used on the plans because they are so concentrated! 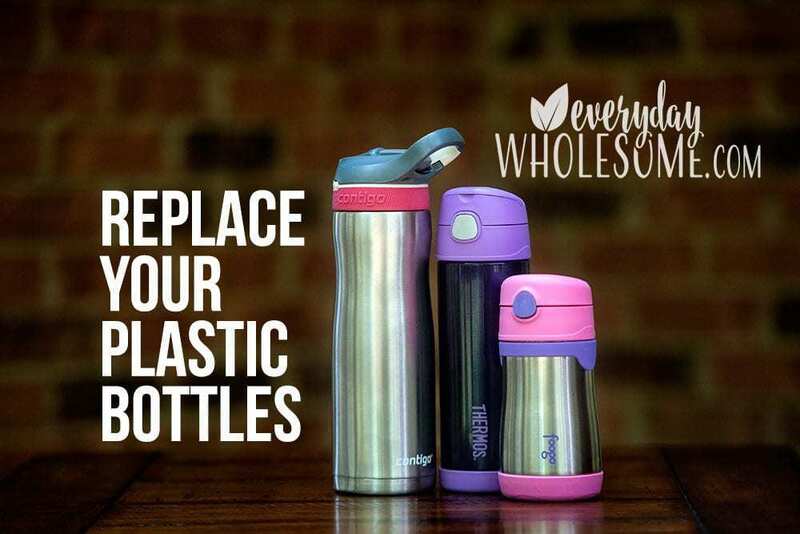 You don’t want to add essential oils to plastic cups or with plastic straws. 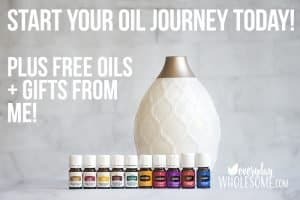 The options above are all safe for adding essential oils! 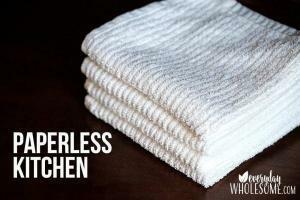 IF YOU LIKED THIS POST ON PLASTIC FREE KITCHENS, YOU’LL LOVE MY POST ON PAPERLESS KITCHENS!